I see over-processed hair everywhere I go. Hair whose condition is so terrible that it frankly doesn’t matter how nice the colour is, there’s no getting past the damaged, brittle, dry, broken condition of the actual hair. There is a serious case of false equivalency going on here. Nice colour at the cost of healthy hair that actually looks and performs like nice, healthy, real hair does not equal nice hair. 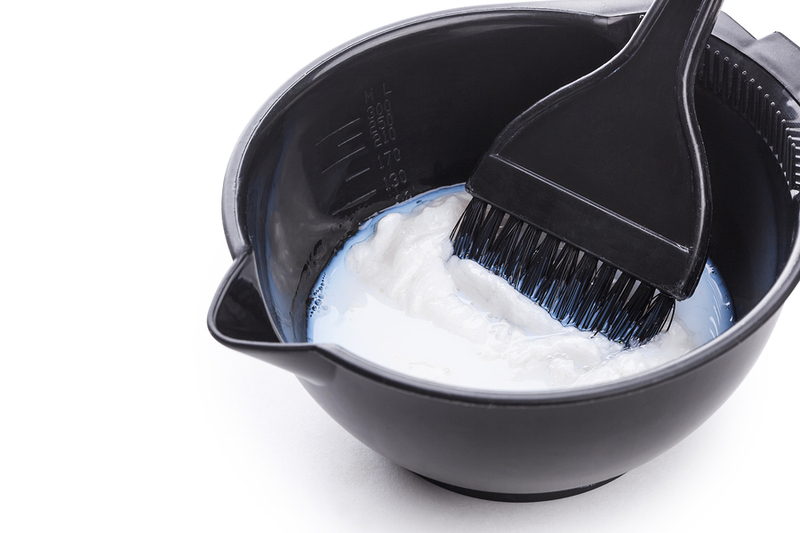 We get it – we love hair colour, but let’s not destroy our actual hair in the process. 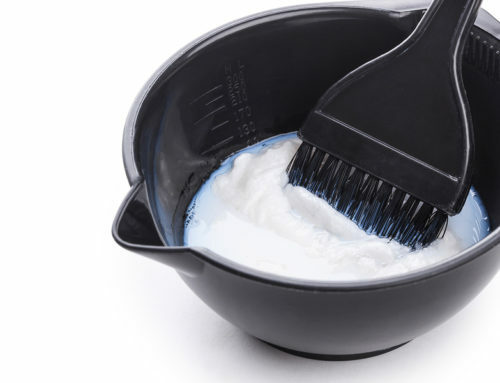 If you are going to be colouring your hair regularly, it is in the best interests of your hair to colour within a range of 0-4 levels from your natural colour. Using a colour that is the same level as your natural colour will help you to cover greys and give you a more consistent even and glossy result. Colouring doesn’t have to be high drama. Chances are your natural colour actually suits yours skin and eyes quite well, so feel free to take your colouring cues from your genetics and keep your choices very close to your natural colour. Coloured hair will have a thicker texture, so colouring can be use in terms of texture too (I prefer the enhanced volume on my naturally super fine hair after colouring). Sticking to within 2 levels of your natural colour means means a colour refresh, a subtly new look, nothing too dramatic or damaging. The Shade’s colour/developer will colour natural, uncoloured hair by 2 levels, and this colour change is significant but does not need a harsh lightening processes which will definitely leave your hair in a more porous, damaged state. You will require a lightening process if you are looking to lighten your hair by 4 colour levels, such as a bleaching process. Your hair will be drier and more fragile after lightening, so wash your hair less to let the natural oils accumulate a little, as they help hydrate your hair and scalp. You will need to do regular intensive conditioning treatments to boost your hair’s health and stay away from heated styling tools which will further weaken your already damaged hair. You can more easily add colour than take it away, but be mindful that if you go darker, and you change your mind one day, you could have a lengthy or expensive lightening process ahead. If you lighten your colour any more than 4 colour levels, and you don’t have hair support system of a Hollywood star (or even with that), then you will push your hair to its breaking point, and possibly beyond. Not every hair transformation needs to be drastic. A beautiful, flattering colour, or a bit of grey coverage can keep you feeling energised, refreshed, polished, hair-happy and maybe a little age ambiguous. Use colour to enhance, perhaps correct or conceal, but let’s let go of the idea that it is worth destroying your hair health for great colour. We are firm believers that you can have great colour and gorgeous, swishable, can’t-stop-touching-it hair. We also know that this means smart (possibly even sensible) colour selection and products without unnecessary harsh chemicals and as much hair TLC as possible in your products (such as botanicals), and please, give your hair a rest from time to time too for healthy, happy hair.